ONCE MORE WITH FEELING: What is Authentically YOU? and if you think by clicking on this post, that question is going to be specifically answered for you by me, you have more work to do and need to give your head a shake! This week, a fascinating thread on a forum page was discussing what was required in the audition room - more about how to dress etc. Of course, those that have little experience have the most to say, and frankly, are generally more than green, but simply incorrect in their reasoning. If you think you know what an audition panel wants, you need to go and sit down. However, as someone who has been on these panels, has adjudicated competitions for over a quarter of a century, and knows many a conductor, artistic director, director, casting director, general director and those others who may sit at the table, I feel I can offer some advice. I am amazed at the absolute false information that is either being 'taught' or being misunderstood by young singers. It saddens me. What is told to me over and over again, is that the panel at the table is really wanting to meet YOU. They don't want a character. So, how do you find that? In an audition, you have a short period of time in which to make an impression. Preferably, it's a memorable one, and a positive one. 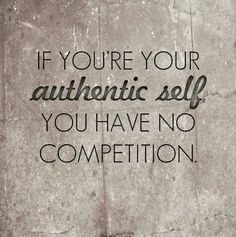 The authenticity of you is crucial. Some people find that early in their lives and let it evolve; some people don't; some people don't even know they aren't reading "authentic" because they are too caught up in what they think they "should" be doing. Two things need to go hand in hand: honoring the OCCASION, and honoring YOUR AUTHENTICITY. Figuring out your "style" - how you dress, how you behave, how you enter a room - is an extension of who you are, who you are becoming, and how comfortable you are with that. Some people need to stand close to the wall. Some people have no walls. Embrace who you are! Figure out who that is, and how you can infuse that self into how you present yourself and how you embody what you sing when you are in that room. Of course, the 'schooled' ones believe everything is ultra-conservative, and must be "by the book". If that makes you comfortable, use it. We always know when you are green in the audition room by how uncomfortable and stiff the entire energy you bring with you, is. Just because you were taught a certain way, doesn't make it so. Did you every ask why? If you don't have an answer it's not behavior. If it's not behavior, it's put on. If it's put on, it's not real. If it's not real, it's schmacting. If it's schmacting, nobody is going to pay attention. Honoring the occasion of an audition doesn't mean you have to be rigid, in a 3 piece suit, or a tux or a ball gown. In fact, please don't. That's not the place to be ridiculously formal. It is also not the place to be looking like you should be on the beach at a BBQ either. Is it really rocket science? Yeah, sometimes it is. Why? Because fear cripples us. We begin waxing unpoetical in black and whites when we are just scared. Sadly it comes across as arrogance and puts us in a further bad light. It takes a long time to learn how to play like yourself. Paraphrase of Miles Davis. It takes a lifetime to learn what notes NOT to play. Paraphrase of Dizzy Gillespie. So yes, you might look very "clinical", and behave very "grad school", or "conservatory" when you first leave because you haven't figured it out yet. What you have permission to do is to step away from the wall and actually claim something more: YOU. What aspect of you shines? How do you discover your own personal style, or flair, or personality that will find its way into every audition and every situation of your world? Auditions, if you are a performer and want to perform, are a necessary evil that you need to embrace. Why shouldn't YOU come into that room? How does the personality, the voice, the talent, the spirit of YOU show itself, not just in how you present the music, but how you present the full package? If you are comfortable in your own skin, that is the first step. Someone could be doing all the "right" things and still be uncomfortable, because it just isn't them. Discovering, and experimenting with your own style, your own touch, is worth investigating. It matters. Some guys wear a 3 piece suit with ease and some do not. Some guys can put a suit together with boots and it works; some cannot. Some guys can actually make jeans look great in the audition room. Some cannot. Some women can wear open toed shoes and some cannot. Some can wear pants and it works; some cannot. Some can wear an amazingly bright lipstick while others cannot. Celebrate the occasion by knowing who you are and what puts you at ease to present yourself. Just like taking the time to find the right repertoire to sing, discover your personality through your physical style by getting creative there too. There are no absolutes here. Just remember the occasion and know you have a great deal of space to claim depending on who you are if you remain authentic. Remember that style should morph and evolve with you as an artist, as a performer and as a human being. Take the information you are taught, and as my father told me, decide what works for you and then go out and claim more to fill it out! Nobody wants to see you awkward, stiff or constrained. Nobody wants a paper cutout of the person who was just in the room. Nobody wants exact replicas. They want to meet and SEE, YOU. So find out who that is. Dare to make a "mistake" in the practicing of it all in order to find a better way, and a better you. Wear what makes you feel like you; not what someone told you that you MUST wear. Wear a color/colors that make you feel REAL. Wear fabrics that give you pleasure and let you breathe. Style can liberate you, and further enhance the YOU you wish to be and the you you wish them to see. They want to see and hear, YOU. Now that is completely up to you. Take your time. Discover it, uncover it, rejoice in the uniqueness you bring to it!